The Norwell Chamber of Commerce announced its Annual Citizen of the Year for 2010, builder Spencer “Skip” Joseph. The Chamber will honor Joseph at the Annual Norwell Citizen of the Year Dinner next month, at which it will also present a number of scholarships to local students going to college. Many citizens who worked with him during the school building project still quote Joseph’s uniquely expressed understanding of the connection between good schools and property values: “our schools are our beaches,” he often said. 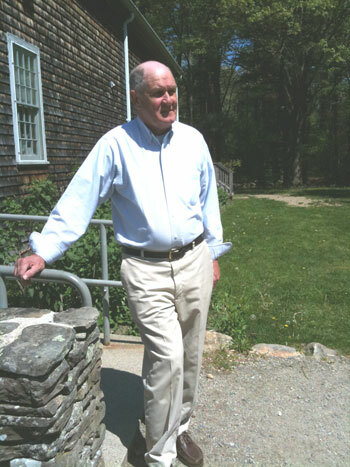 Among his volunteer roles in the town, Joseph served as Building inspector for seven years, Disability Commission for six years, the School Building Committee for five years, and “many years on the Handicapped Commission, ADA Coordinator and South Shore Vo-Tech Advisory Committee,” said Gordon. “What hasn’t Skip done for Norwell?” asked Peter and Marybeth Shea, who jointly nominated him. “He was instrumental in the school building project’s success as well as being a voice for seniors in our town. “He puts his time, energy, and considerable knowledge towards doing what is best for our community year in and year out,” they said. And “many years” on the Handicapped Commission, ADA Coordinator and South Shore Vo-Tech Advisory Committee, according to data provided in his nomination papers. “It’s hard to imagine anyone in Norwell who has served in more volunteer positions for as long a duration as Skip,” wrote Ellen Allen in her nomination.